The LIVE.LOUD! 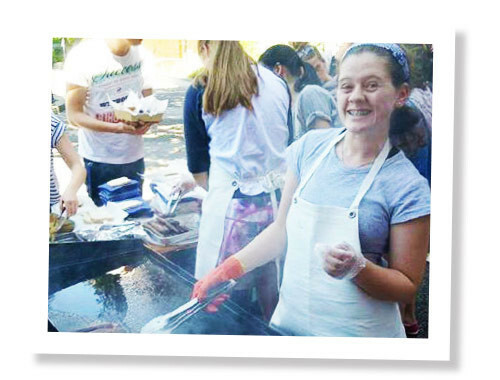 Project is an initiative that gives our Lunchtime Groups an opportunity to live their faith in action and to do something that would contribute toward positive change and transformation in their school community. …is a key foundation of Lunchtime Groups. It is the action step of faith that comes naturally after we gather and explore. It is faith stepping out into the open and speaking out through hands and feet. ….is the truest sound of a faith lived out boldly. When we act in compassion, when kindness is celebrated, when the generosity of spirit overflows, faith speaks LOUD to love and to draw people in to change. While we believe that Lunchtime Groups are the small, consistent efforts of living faith as school, there are times when faith can and needs to step out into the public square. At the core of it is students being good news in a real, relevant and meaningful way through visible and intentional actions. 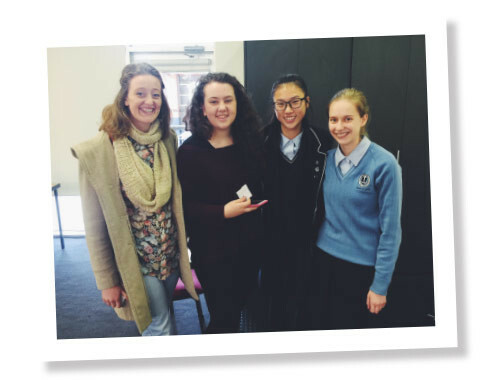 “In 2016, we organised a Random Acts of Kindness Week for those in our Camberwell Girls Community. In the weeks leading up, we brainstormed a list of ideas of how we wanted to show kindness, and what Mustard wanted this kindness to reflect. “Our Lunchtime Group at Caulfield decided to honour our groundsman, Billy. Billy is a really sweet guy with a caring heart who does work that many would find tedious around the school. We lured him into the Yr 7 building, where we had the entire grade line up in two lines in a guard of honour. As soon as he stepped in, the entire roof exploded. The clapping and cheering was so much louder than we had anticipated! When Billy got to the front, we thanked him and gave him a signed card we’d prepared. 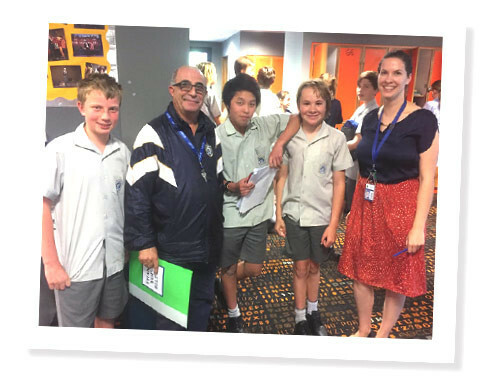 “Our LTG held a sausage sizzle, free dress day we called Mustard n’ Dogs for our LIVE.LOUD! Project. We have wanted to do this for almost four years now, and we saw an opportunity to do it for our LIVE.LOUD! Project. We also did this because we felt that everybody needed to relax more. The sausages ended up getting sold out (woohoo), and we raised $708 for Dream Stitches. Dream Stitches is an organisation that teaches refugee women how to sew. We know that our efforts were greatly appreciated and are glad to have helped out such a great organisation. “Over the term three holidays a group of dedicated Strathy Mustard girls planned, baked and purchased sticky notes ready to surprise the entire Strathcona senior school on the first day back of term 4. 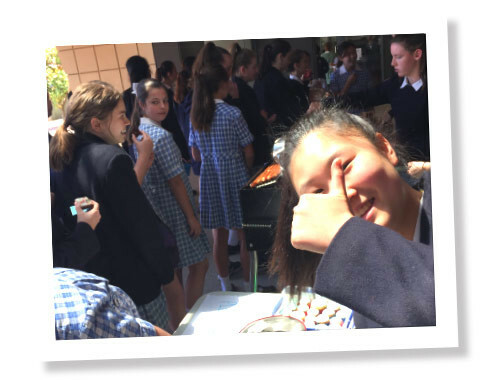 Term 4 can be a busy and stressful term for many students especially the year 12’s, so we decided to write encouraging notes for each girls locker and to have a free sausage sizzle and free baked goods at lunchtime. We arrived at school early armed with cupcakes and sticky notes ready to bring joy to our fellow schoolmates. It was so encouraging seeing everybody reaction as they read their individual encouraging note or received a free sanga in bread. As we gave out food we also were able to have some great conversations about Mustard and what our Lunchtime Group is all about.